…soo many tomatoes. Some are purple, some are red, some are huge, and some are small. They all taste heavenly right now. Unfortunately those delicious tomatoes go bad fast once they are ripe and picked. Does that mean that now the canning begins? I still don’t know how to do that, even though I received a book and the tools do do it for my birthday. I will give it a try later. For now I will roast those yummy cherry tomatoes in the oven. The roasted tomatoes can be used as topping for salad, on spaghetti (just add some pesto), or on pizza. They can also be frozen. When thawed just but in a food processor for a great tomato sauce. 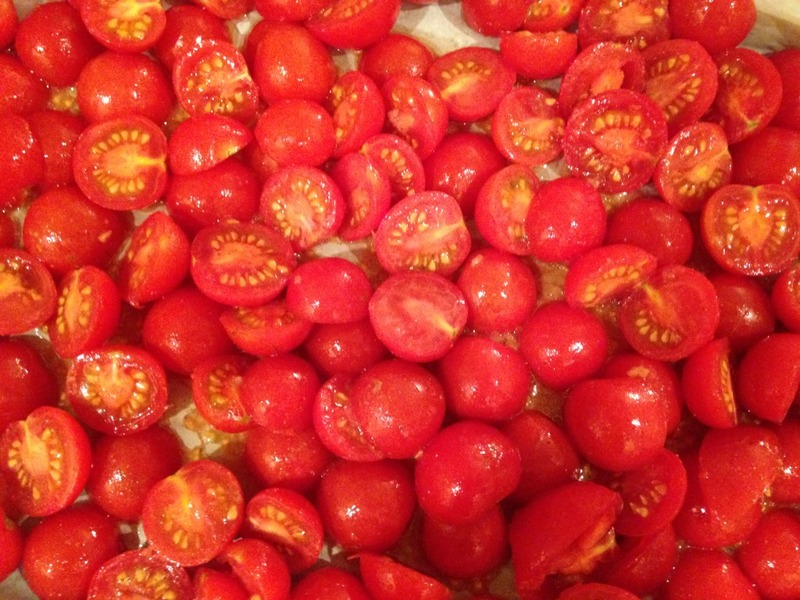 These garden fresh roasted cherry tomatoes can be used in a salad, on noodles, pizza and more. They can also be frozen to be used in a tomato sauce. 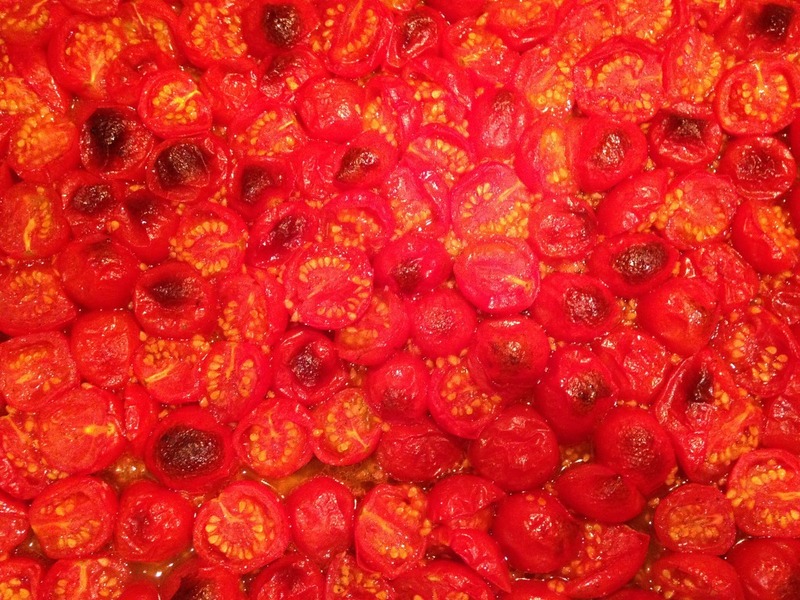 Spread the tomatoes on the baking sheet. Don't pile them up, they should be placed next to each other, use another baking sheet if needed. Place the baking sheet on medium rack and roast for about 20 minutes. Check frequently, they go from brown to black in no time. Ripe tomatoes are sometimes hard to cut. Use your bread knife or better a serrated deli knife like mine from Wenger. 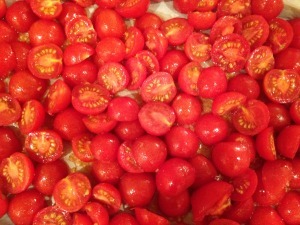 Don't use the juice that will collect on the cutting board, it might make your roasted tomatoes a bit too juicy. When adding the garlic cloves it's easiest to use a good garlic press that allows to evenly distribute the garlic.